Seth Wadley Ford Of Perry in Perry Can Find Your Used Car For Sale Today! Are you in the market for a specific automobile, but you are not certain if Seth Wadley Ford Of Perry has it at our convenient Perry facility? Then you will be pleased to find out that our absolutely free used automotive locator service can help you locate the used car, truck, or sport utility vehicle (SUV) that raises your curiosity. The best part of utilizing Seth Wadley Ford Of Perry's pre-owned automobile locator service? By letting us take care of your pre-owned vehicle search, you can not only get the car you want, but you also escape all of the challenges that come with working with other, less proven, dealerships in the Perry region. 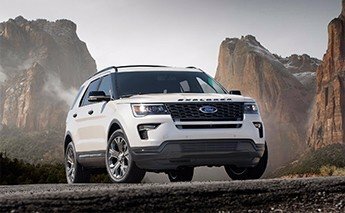 Once you recognize how crucial prospering within this process is to ensuring that your time spent driving around Perry is always a laid back and enjoyable affair, how could you ever settle for anything below the marketplace-defining devotion to top notch client service and assistance at Seth Wadley Ford Of Perry? If you are ready to hear even more about how our used car locator service actually works, go ahead and spend a few moments with the group of automotive experts here at Seth Wadley Ford Of Perry as we go over all of the things that set us apart from the rest. Once we have done this, you will have all of the specifics you must possess to make an informed decision regarding your pre-owned prospects. The most efficient way to get this conversation off to a running start is by supplying you with a more detailed look at how we sift through all of your choices and discover the most appropriate pre-owned automobile for you. To start, Seth Wadley Ford Of Perry requires a couple of pieces of information pertaining to your unique needs and interests. Luckily, our stress-free and user-friendly form, available to you on this page, is more than capable of delivering this data directly to our used car experts. As soon as this information is in our possession, we will get to work immediately on making use of our dealer network resources to connect you with the precise pre-owned vehicle that is right for you. Once you realize all of this, why would you ever need to spend countless hours rummaging around in your local paper or fighting with deceptive pop-ups and other excessive ads on untrustworthy used digital portals any longer? Digging a little deeper, the dedicated members of the Seth Wadley Ford Of Perry family are more than happy to do what it takes for our good friends in Perry when the time comes to find the right pre-owned vehicle. To validate this eye-catching claim, you can always count on our pre-owned car locator service being altogether free of charge to you. Even though other dealerships might intend to bleed dry your bank account as part of helping you find the right pre-owned car, the Seth Wadley Ford Of Perry staff believes that supplying the help buyers require on this front is essential to constructing a legitimately useful car dealership environment. Never Underestimate the Impact of a Bit of Research – While window shopping is certainly an exhilarating part of the hunt for your next used car, do your best to not be drawn in by merely the first impression you develop regarding the car that captures your eye. A little research into the vehicle's sustainability, interior amenities, and other aspects that can impact your habits will go a long way toward helping you decide if this vehicle is truly in a position to meet your requirements. Sit down and Have a Conversation with Family and Friends – Taking advantage of the counseling of others definitely goes a long way. By sitting down and communicating with honest close friends and family members, you may find an entirely different point of view on your pre-owned vehicle search – and even come across a perspective that improves how you work through this process. Embrace Your Illustrative Side – As you work your way through the following used car locator form, try to be as descriptive as possible. The more information you give to us, the more probable it is that we will discover the ideal pre-owned automobile for you in a expedient manner. Never Be Afraid to Seek Advice From Seth Wadley Ford Of Perry's Group of Used Consultants – If anything changes during this undertaking, do not be afraid to let us know! We want to guarantee that you get your desired vehicle, so give us a heads up if you want to rework the search for your next used car, truck, or SUV. With these suggestions leading the way, we have no uncertainties that the pre-owned car that suits your desires (be it a Ford Certified Pre-Owned or an automobile from a different automaker) will be parked in your driveway in a jiffy. At this point, there is probably only one question left to answer: "What do I need to do to start searching for the right used automobile for me?" Thankfully, making strides on this front is as painless as completing a quick form or picking up your phone and committing to a brief call to Seth Wadley Ford Of Perry. All we ask of you is to simply fill out the application we have provided here when it is convenient for you (remember to be as comprehensive as you can!) and we will handle the rest. If you would rather talk about this procedure in deeper detail, set aside a moment in your busy daily schedule and give Seth Wadley Ford Of Perry a call at (580) 307-3432 or stop by when you are in the area; no scheduled appointment is required because Seth Wadley Ford Of Perry is always prepared to offer up its support to our good friends in Perry!